Wedding is of course a once in a lifetime event for the bride and the groom. Great and busy people who have managed to make time to attend your wedding should be thanked gracefully. 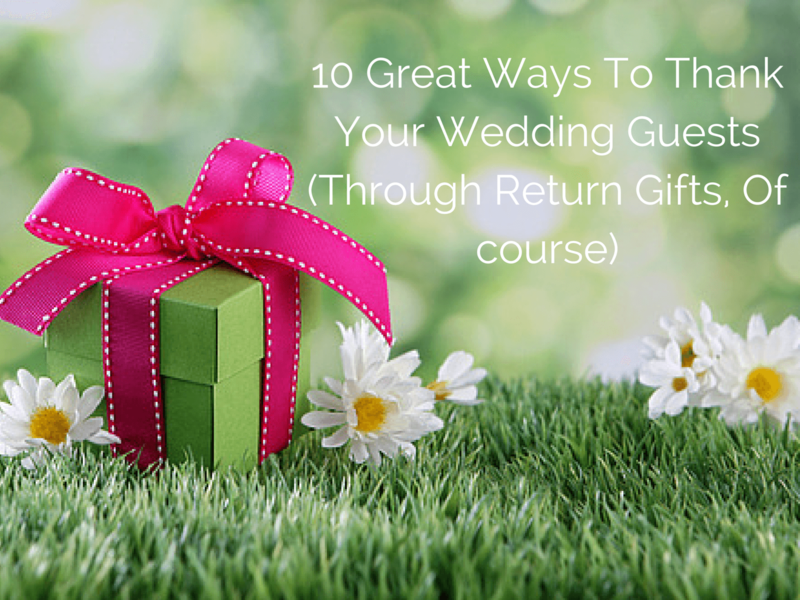 It’s not only required that you “thank” them by words, but also by wedding return gifts, that will make the wedding an even more cherished one. So, here we are giving you a list of wedding return gift ideas for guests, some are precious, made of gold & silver, some are normal ones. 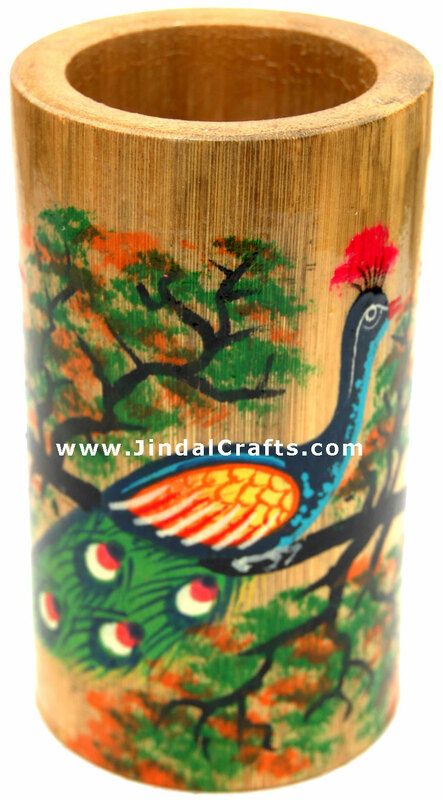 These ideas are primarily targeting return gift for Hindu wedding, but most of the products can be used irrespective of caste and creed. 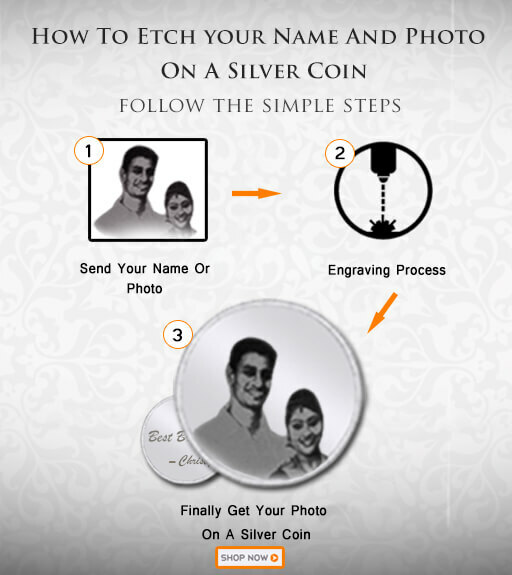 The genius of this particular marriage return gift is that, it accomplishes two things – it serves as a creative way for guests to beat the heat as well makes for an extremely great memento. Printing the date in a very beautiful fashion upon the fan ensures that discarding it isn’t going to be easy either. I mean, just take a gander at the image above. If you were holding the same in your hands, would you feel like nonchalantly throwing it away? 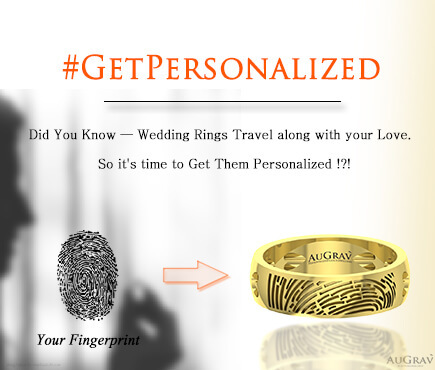 If you love personalized products, then you can get ideas to personalize your wedding here. 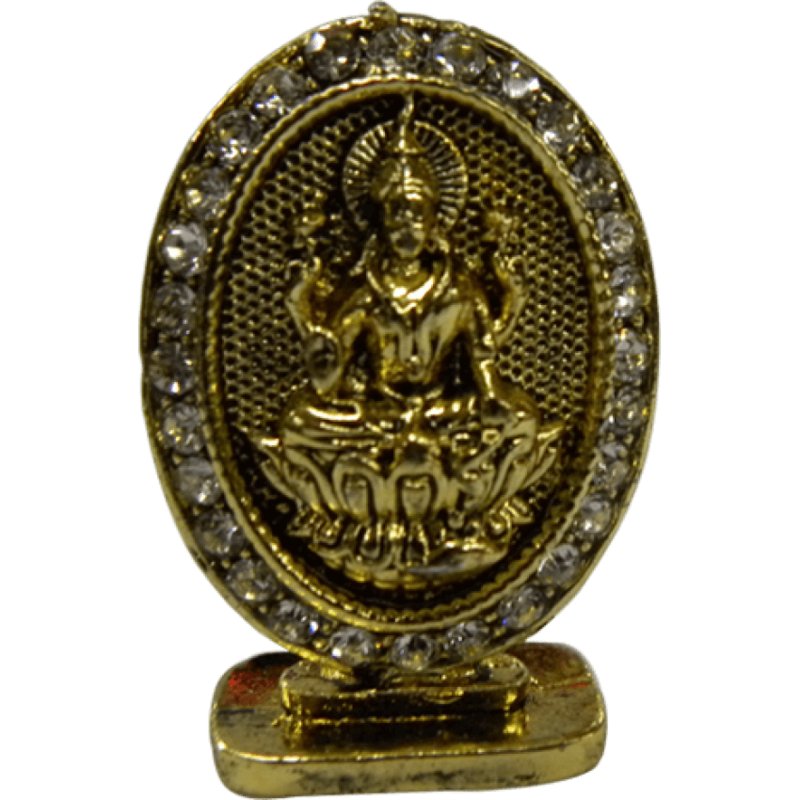 For the more religious minded folks out there, you can’t go wrong with religious sculptures and/or idols for choosing this as a return gift for Indian Hindu wedding. Considering the fact that marriage to many, translates to the most purest of bonds between two people, it is only fitting that the gift given to legitimize it one of divine significance. Besides, the divine element allows for this gift to be a cheaper but no less valued alternative to some of the more pricey return gifts mentioned in this list. More of a symbolic/metaphorical gift than anything else, sindoor, particularly in hindu wedding rituals where when put upon the bride’s forehead is a representation of a married woman. 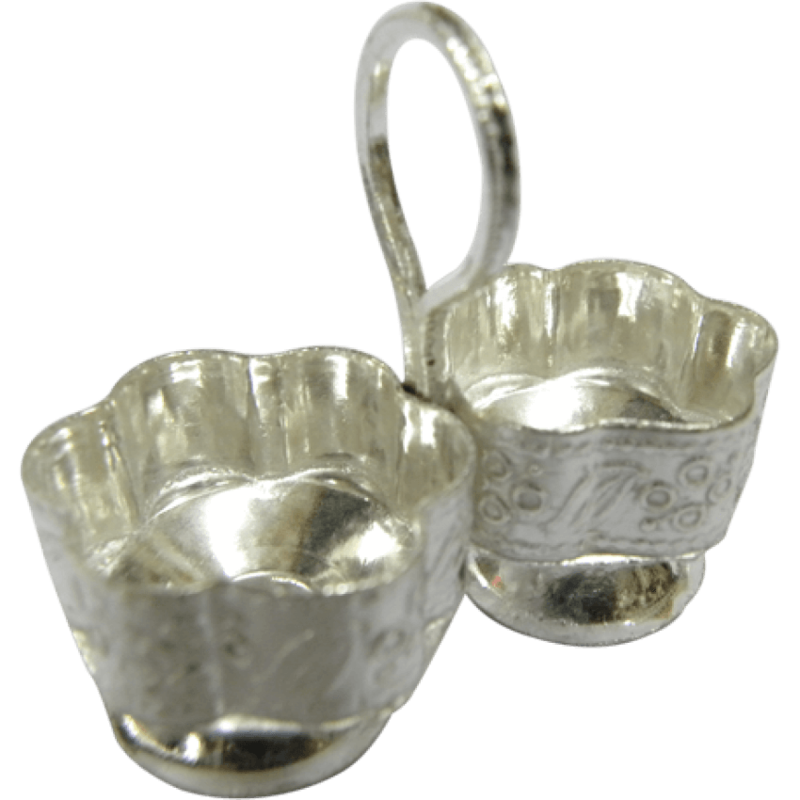 So what better than to give out as return gifts for ladies which are the very vessels used to store the same? Cost wise, it’s definitely more on the affordable side of things, so you don’t have to worry about burning a hole through your pocket! 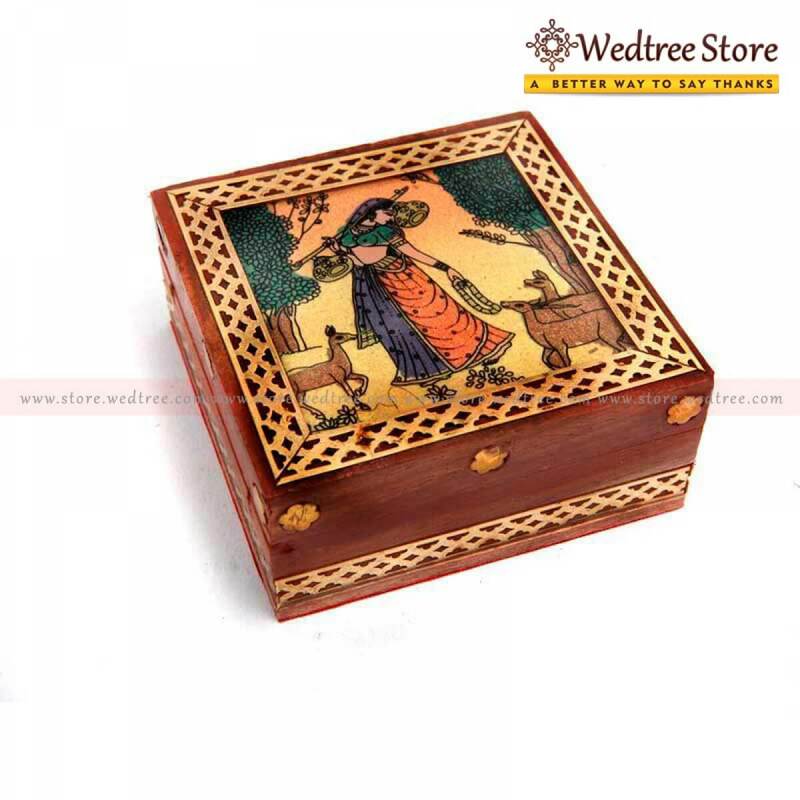 Simple, decorative and elegant, anything handcarved out of wood automatically ticks all the right boxes when it come to great marriage return gifts so it’s basically a no-brainer to give them out as such. There’s something that’s inherently beautiful about decorative boxes in general and wooden, handcarved ones? Well, that’s just icing on the cake. 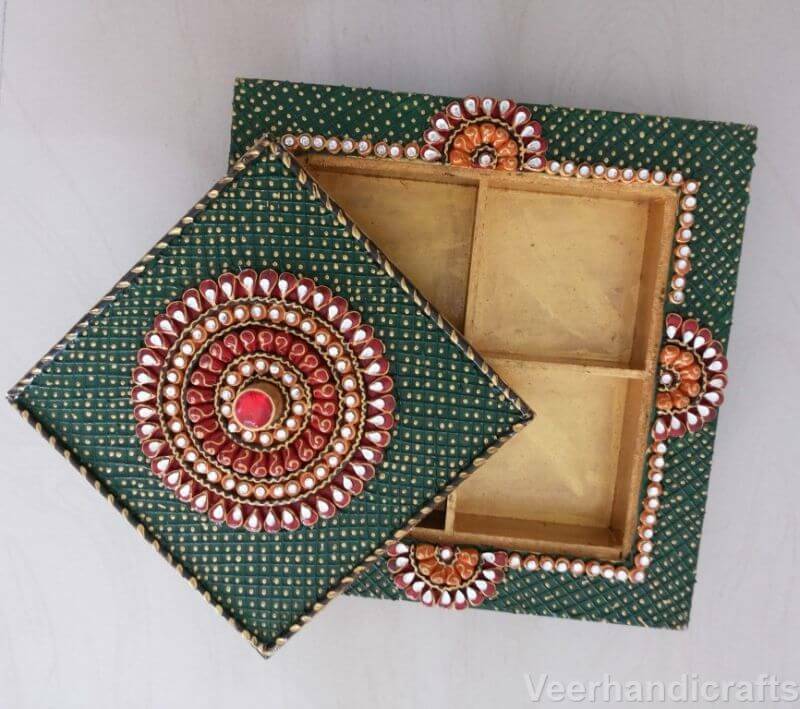 Decorative boxes and Dry fruits – Two things that would almost surely guarantee a satisfied guest, so when your marriage return gift for your friends is a box that can contain dry fruits within, it just up the ante even further. Arguably, one of the more traditional return gift item on this list, giving out hand bags or clutches is simple, affordable, useful and valuable. 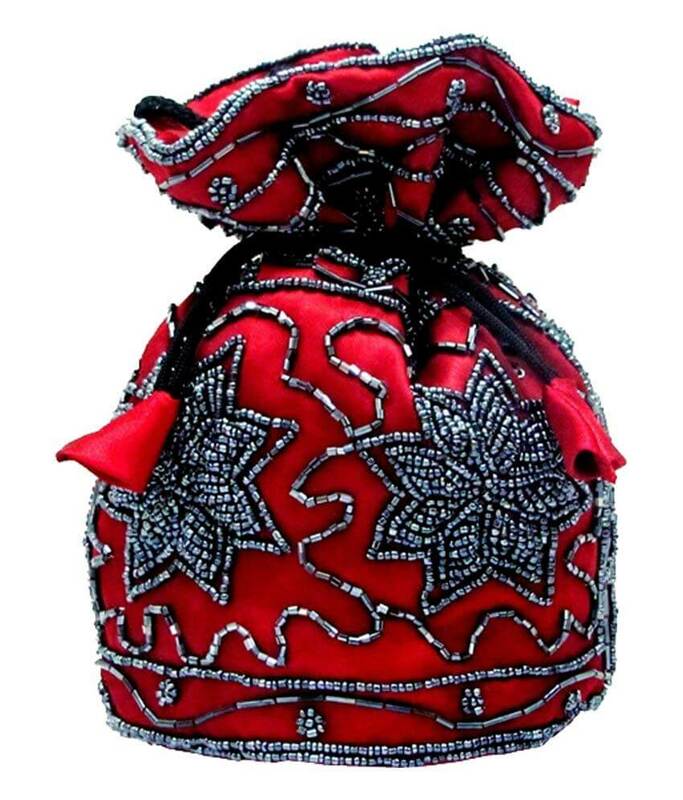 Usually used as a means to put more items within, a decorative hand bag as such, without anything inside also qualifies as a worthy enough gift but of course, in that instance, special care needs to given to making the bag look as decorative and beautiful as possible. In Indian households, trays are usually used a vessel to serve desserts/sweets to a large amount of guests. 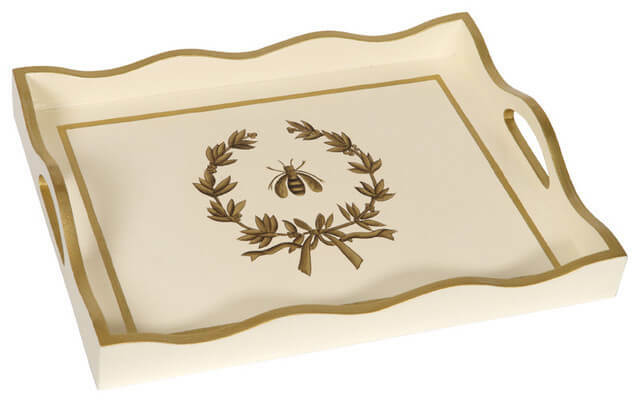 So, it’s only fitting that the cycle continues by giving out Decorative trays as your return gift for your wedding reception toward all the guests who made it a point to save time in their prospectively busy schedules to come and attend your big day. Again, being a blank canvas allowing for creativity, the potential that decorating this particular wedding hold is tremendous. One can never go wrong with return gifts idea that are carved out of marble (unless, of course, they’re not carved well but that’s a totally different scenario that we don’t have to worry about now) It could be anything – statues, fancy sculpture maybe even a small memento carved out of marble. This option might seem a bit generic at first but that’s not the point here. Giving out cups, glasses or other utensils as wedding return gifts for guest, apart from being a wee bit on the nose, is also, exactly as the title of this option states, Useful. Your wedding guests may be able to use the gifts that you’re giving out in their everyday lives thus serving a higher purpose than merely functioning as gifts. 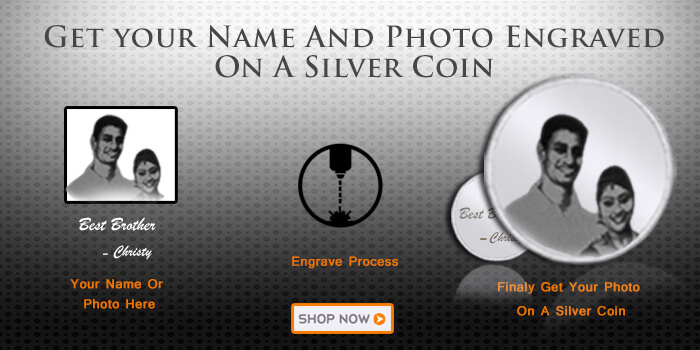 This is also a great option because it also serves the purpose of reminding your guests of the big occassion every single time that they use the item, thus making it very memorable. This is in all honesty the Godfather of all return gifts out there – Valuable, beautiful and actually memorable, a gold coin ticks all the right boxes when it comes to the outgoing guests actually remembering the big day. It’s definitely a bit more on the cost factor (It is a GOLD coin, after all) but if you can afford it, definitely go for it! 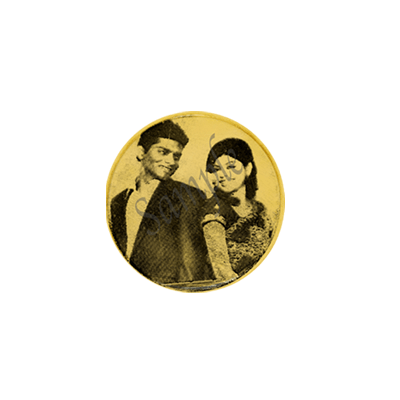 What’s more, you can actually choose to give out decorative gold coins as well, etching the surface of the same with portraits of Religious symbols and/or the newly wed couple in all their grandeur. You can buy it here. Wedding Gift Ideas For Guests:10 Great Ways to Thank Them Overall rating: 4.7 out of 5 based on 235 reviews.